Utah government is committed to continually looking for ways to provide more value for every tax dollar invested. Thanks to great employees, the state is succeeding in this effort. But, there is always more work to do. 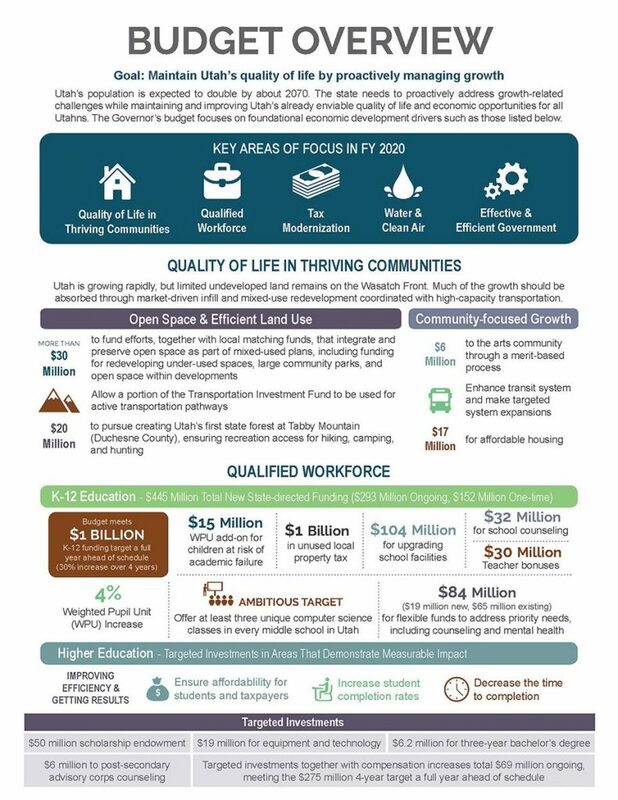 Check out the Investing in What Works policy brief from the Governor’s FY 2020 Budget Recommendations book to learn about some of the tangible program and system improvements implemented by agencies to significantly enhance the quality of life for all Utahns. Every December Governor Herbert releases his budget recommendations for the following fiscal year (FY). The FY 2020 budget recommendations were released on Dec. 6 and are focused on maintaining Utah’s unparalleled quality of life and preparing for growth. Governor Herbert made a big announcement during the release: A proposed $200 million tax cut designed to return money to Utah taxpayers. If approved by the legislature, this will be one of the biggest tax cuts in the state’s history. The tax cut is made possible thanks to a booming economy and efficient/effective use of current resources. A new HSA plan option where employees can take a portion of the employer’s contribution in cash. Other budget highlights include historic investments in air quality, open space, land use planning and education. 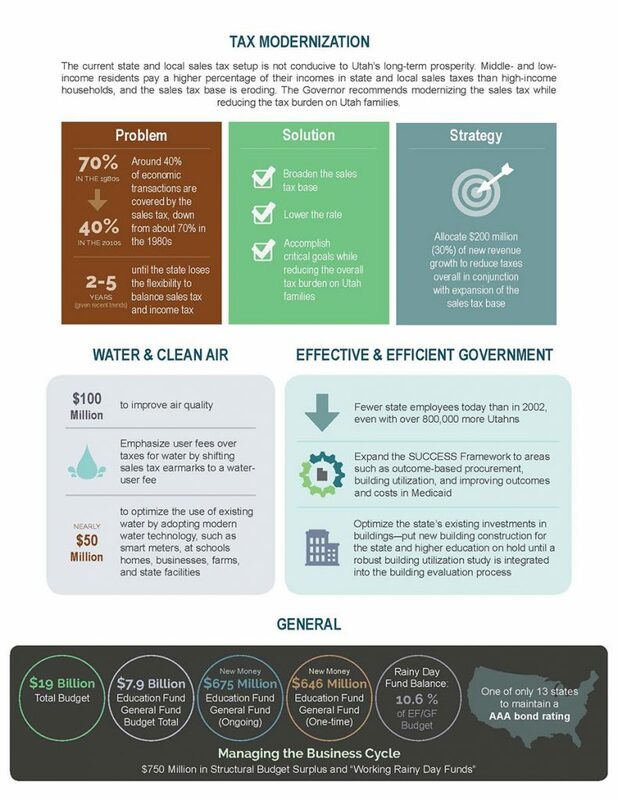 To read more about the proposed budget, click here or check out the infographic below.